Happy, Happy, Happy Friday! 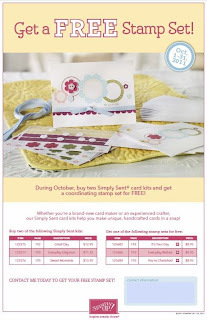 To help you start off your weekend right, Stampin' Up has another awesome promotion for the month of October! 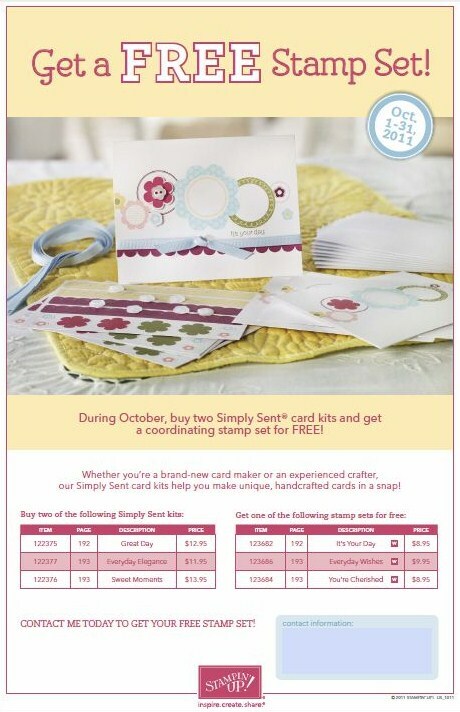 With the purchase of any two Stampin' Up Simply Sent Card Kits, you can get the coordinating stamp set for FREE! There is no limit to how many you can purchase. Plus, the Simply Sent Card Kits make great presents for not only new card makers but experienced ones as well. 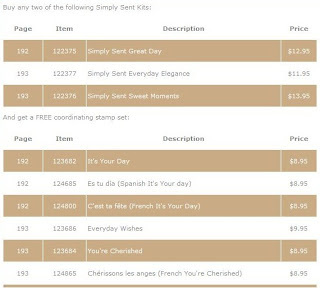 Making cards has never been easier with Simply Sent! Click here to get your Free Stamps today!